Dinner at a private dining facility. 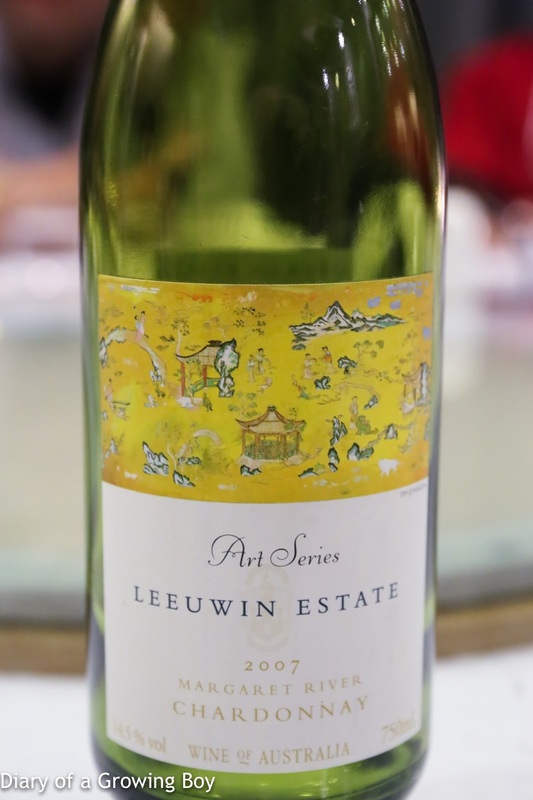 2007 Leeuwin Estate Chardonnay Art Series - toasty oak, buttery, and ripe on the palate. 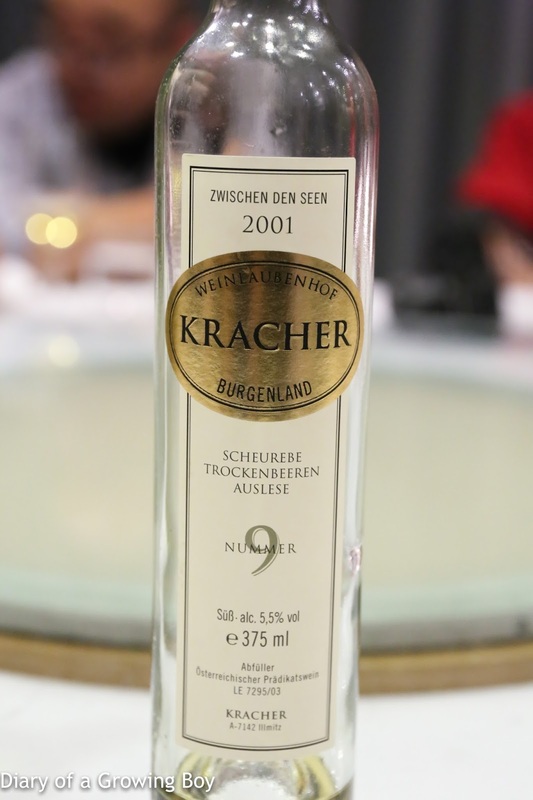 2001 Kracher Scheurebe Trockenbeerenauslese No. 9 Zwischen den Seen, from half-bottle - lots of honey, orange marmalade, really sweet, really grapey. 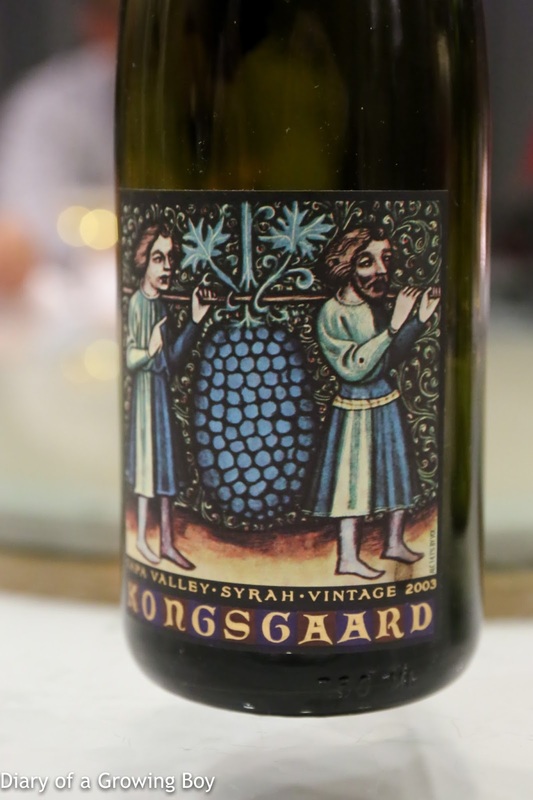 2004 Kongsgaard Chardonnay - nice and mature on the palate. Sweet on the nose, with marmalade, toasty oak, and butter corn. 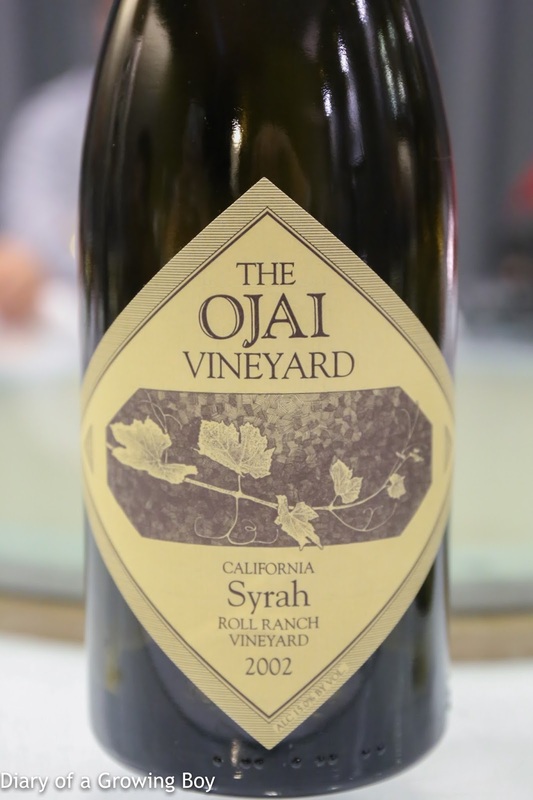 2002 Ojai Syrah Roll Ranch Vineyard - more metallic on the nose, still plenty of fruit here. MNSC dinner at the Hong Kong Club, hosted by Pineapple. 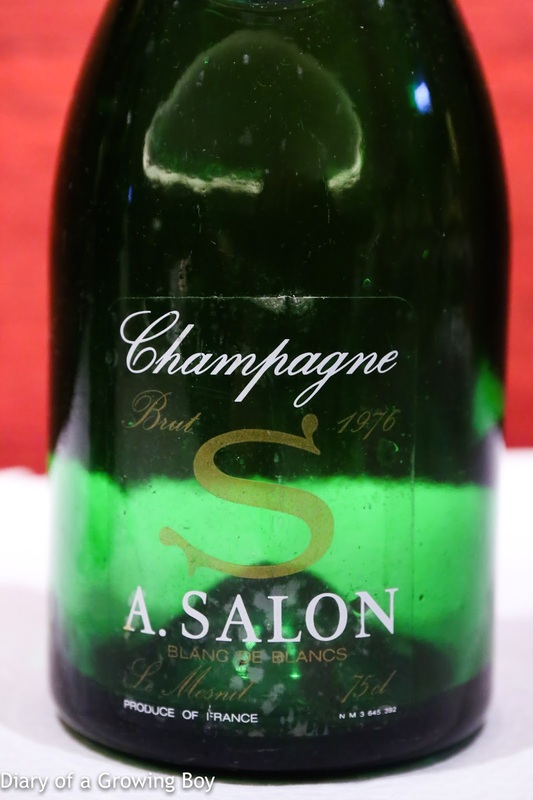 1976 Salon - disgorged perhaps 5-6 years ago, which explains how fresh this tasted. Just beautiful. Mature nose of toast, roasted corn, some sweet grass, a little caramelized, and sugar cane notes. Good acidity on the palate. 96 points. 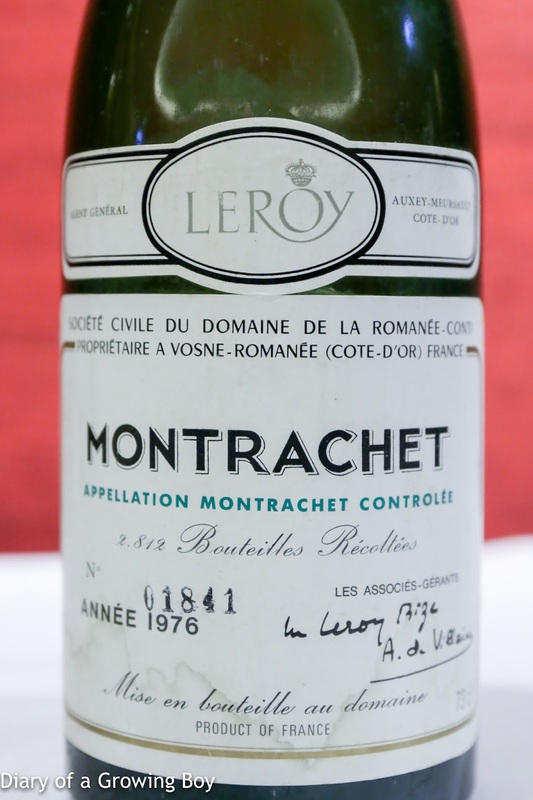 1976 DRC Montrachet - opened for 30 minutes prior to serving. 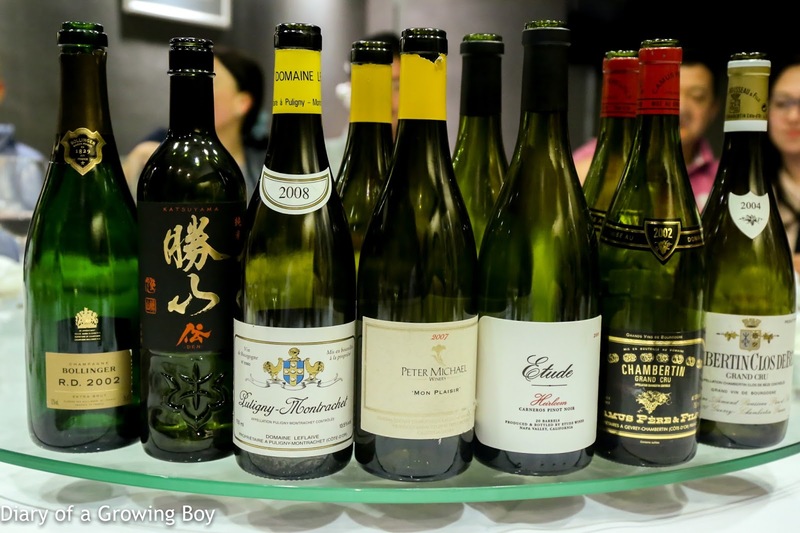 Very mature nose, with sweet grass, caramelized sugar, and a hint of salty plum (話梅). Later on with further aeration we got some coconut, sugar cane juice like 竹蔗茅根, and honey. Just an incredibly beautiful wine, and what a privilege to have tasted it. 98 points. 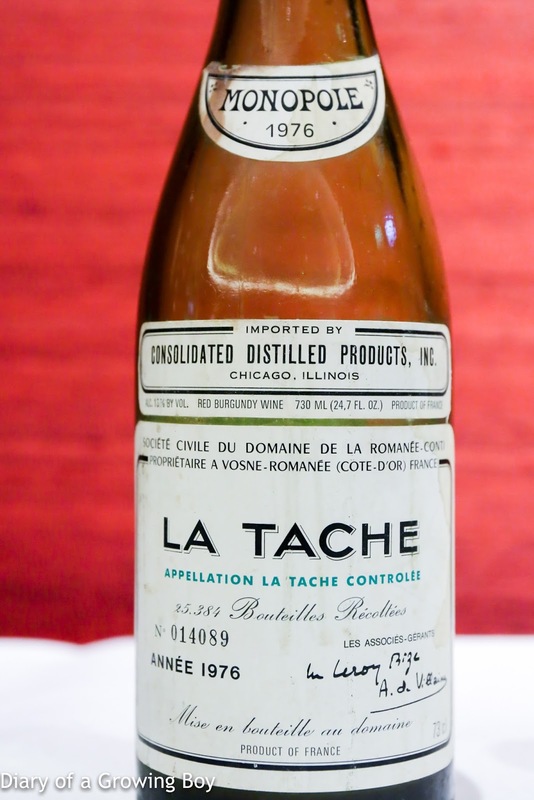 1976 DRC La Tâche - opened 1 hour prior to serving, without decanting. 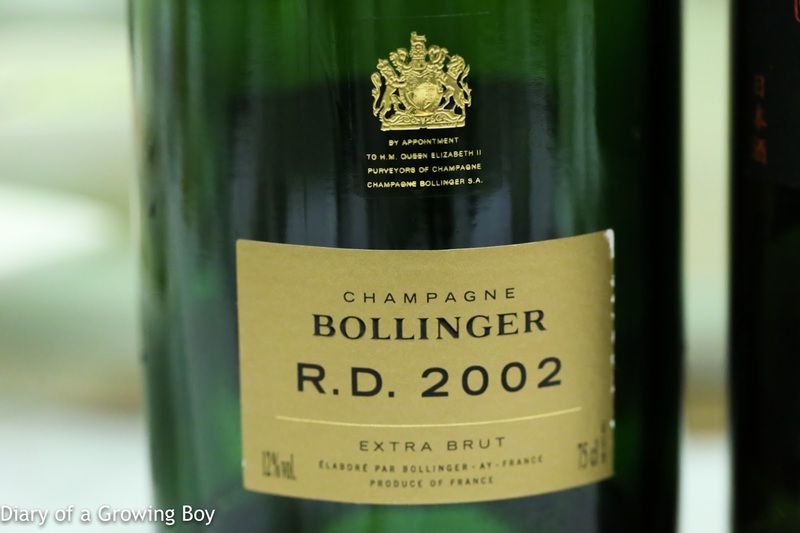 Beautiful and floral, with plenty of sweet fruit. A little iron and a hint of leather. Acidic and light on the palate. Another 20 minutes later the wine in glass was over the hill, thinned out with more pronounced acidity. 96 points. 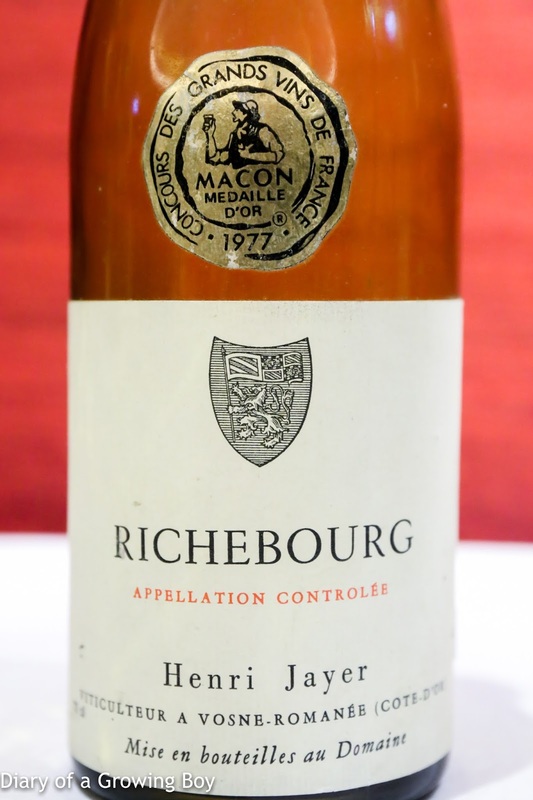 1976 Henri Jayer Richebourg - opened 1 hour prior to serving, without decanting. Initially showing a little wet cardboard and vegetal notes. A little earthy. 91 points. 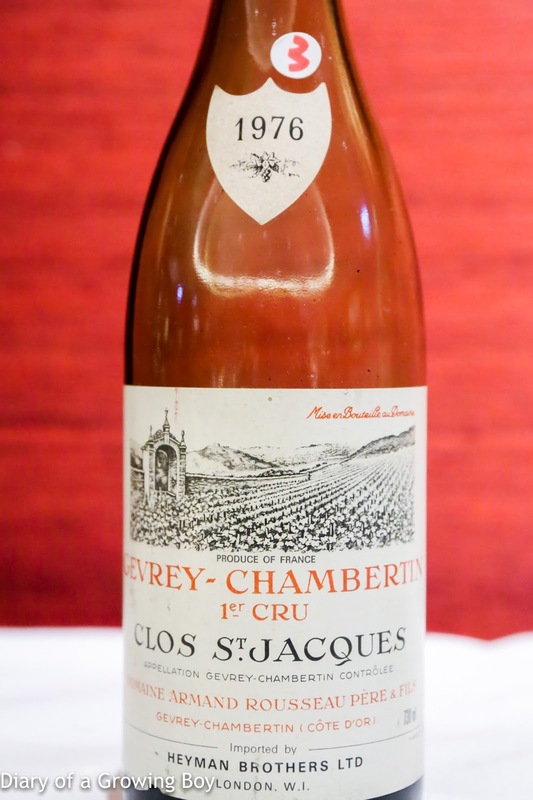 1976 Armand Rousseau Clos St Jacques - opened 1 hour prior to serving, without decanting. A big, pruny nose, a little sharp, with leather notes and slightly acidic on the nose. A little savory on the palate. 94 points. 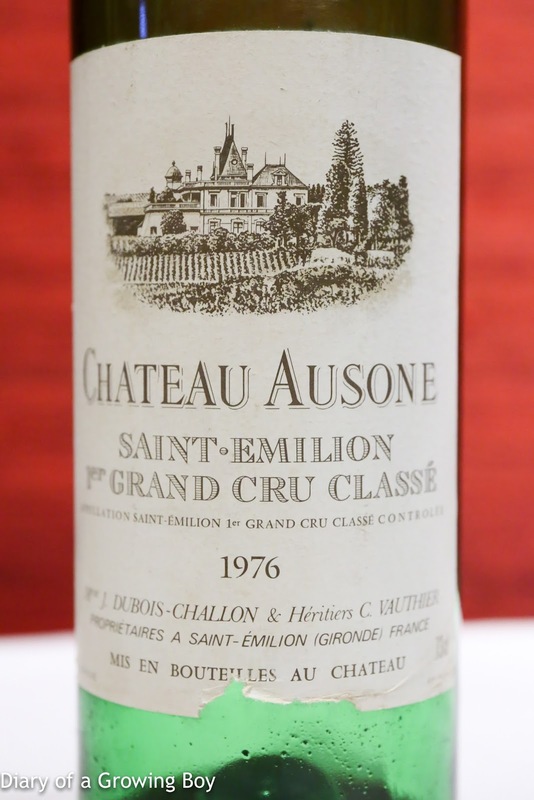 1976 Ausone - opened 1 hour prior to decanting and serving. Nose of lead pencil, mint, some fruit underneath. 94 points. 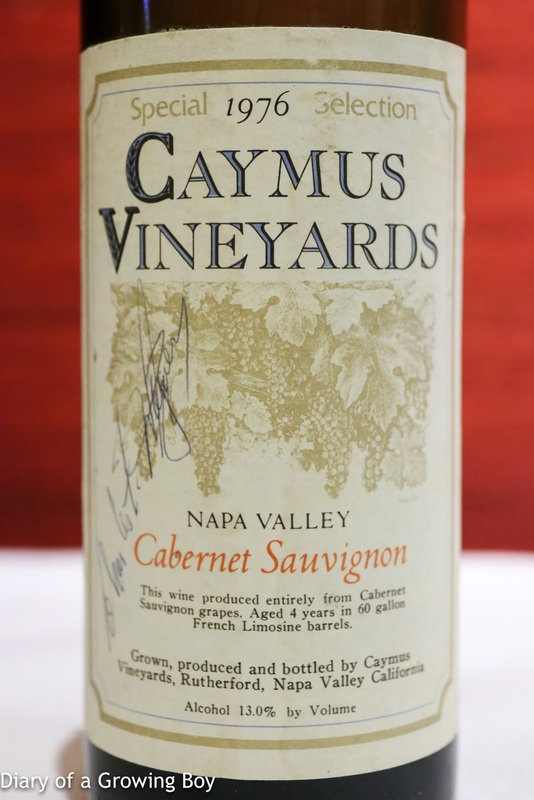 1976 Caymus Cabernet Sauvignon Special Selection - opened 1 hour prior to serving without decanting. A little burnt rubber, smoke, and some star anise in the nose. 92 points. 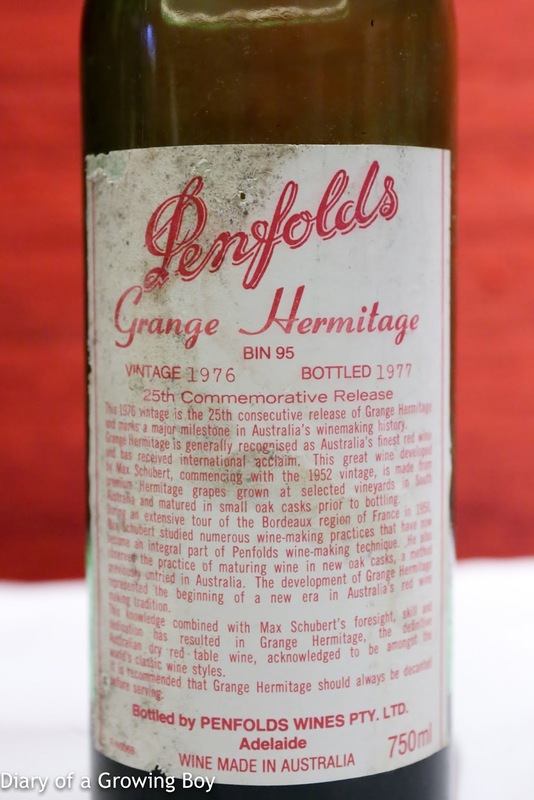 1976 Penfolds Grange - opened 1 hour prior to decanting and serving. A little lead pencil, sweet on the nose with a little bit of coconut. A beautiful wine. 97 points. 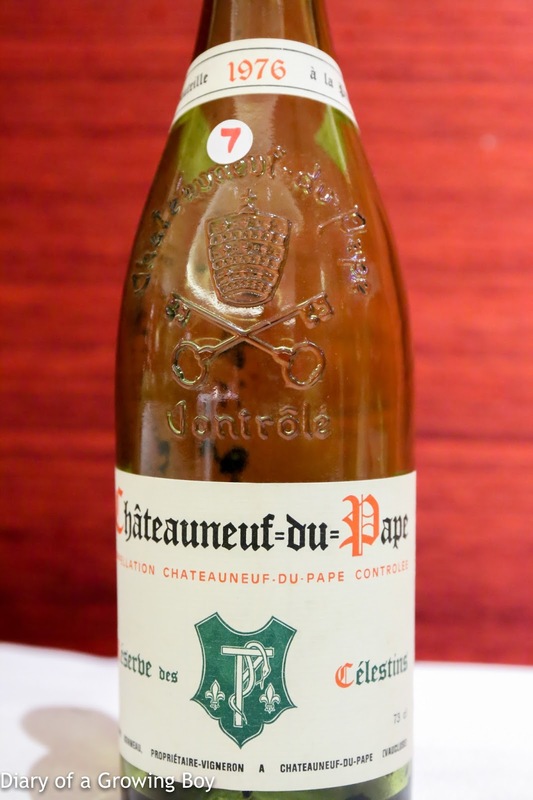 1976 Henri Bonneau Réserve des Célestins - opened 1 hour and decanted 30 minutes prior to serving. Nice fruit, oaky, a little savory, and a little stinky. 93 points. 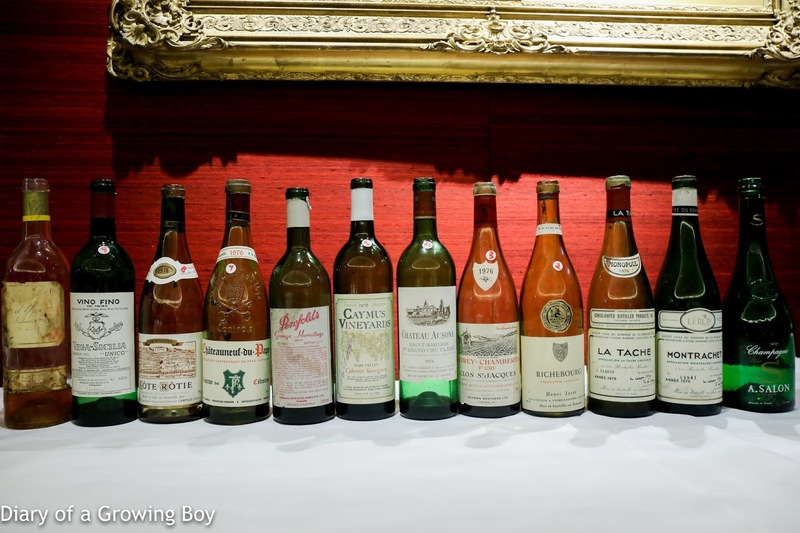 1976 Guigal La Mouline - opened 1 hour prior to decanting and serving. Lovely and fragrant nose, with coffee notes, and a little savory. Just beautiful. 100 points. 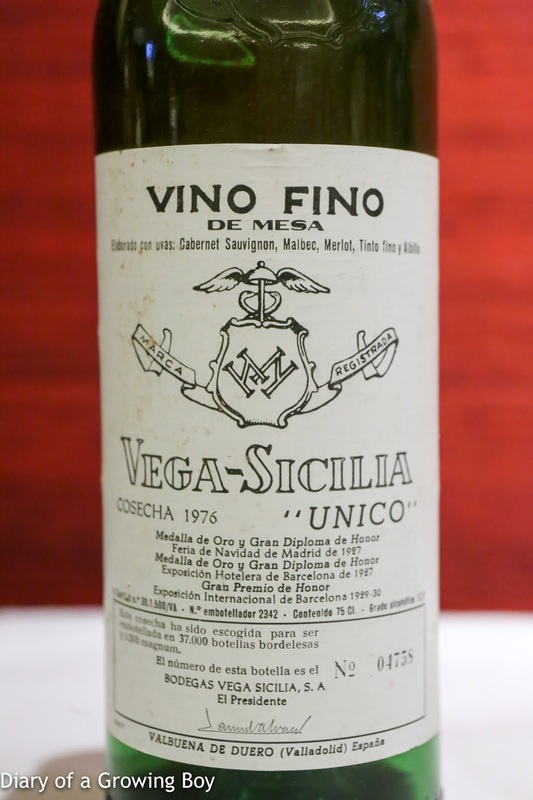 1976 Vega Sicilia Unico - opened 1 hour prior to decanting and serving. Awesome wine. Soooo exotic and sweet, with amazing coconut notes. 100 points. 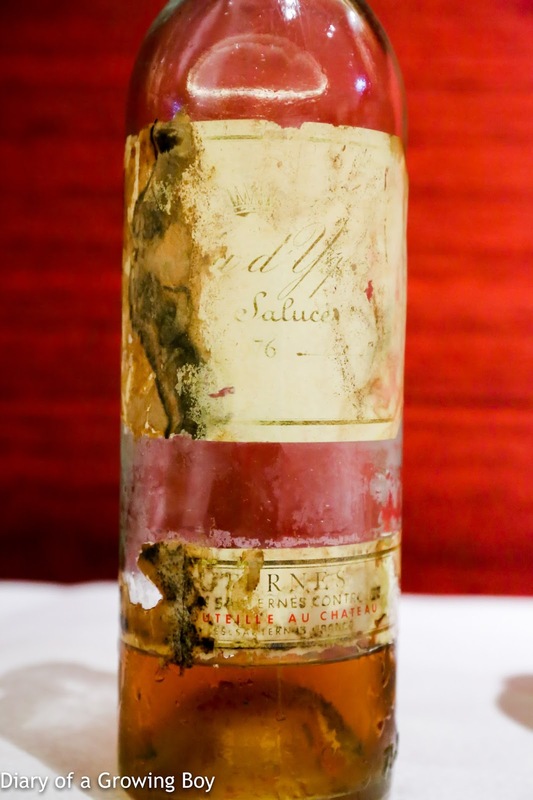 1976 Yquem - acetone, paint thinner, honey, nutty, grapey, and honeydew melon. Great acidity here to balance out the sugars. 96 points. 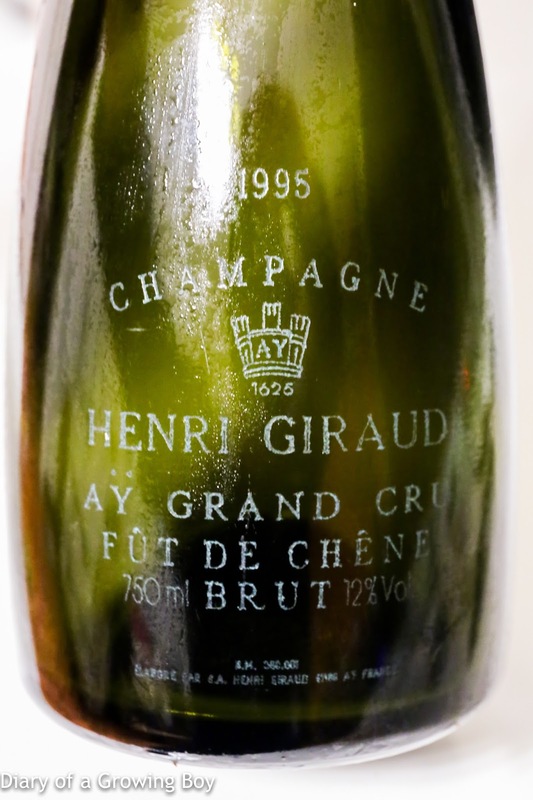 1995 Henri Giraud Fût de Chêne - the nose was so caramelized and sweet, yeasty, toasty, with marmalade notes. Lovely depth on the palate. 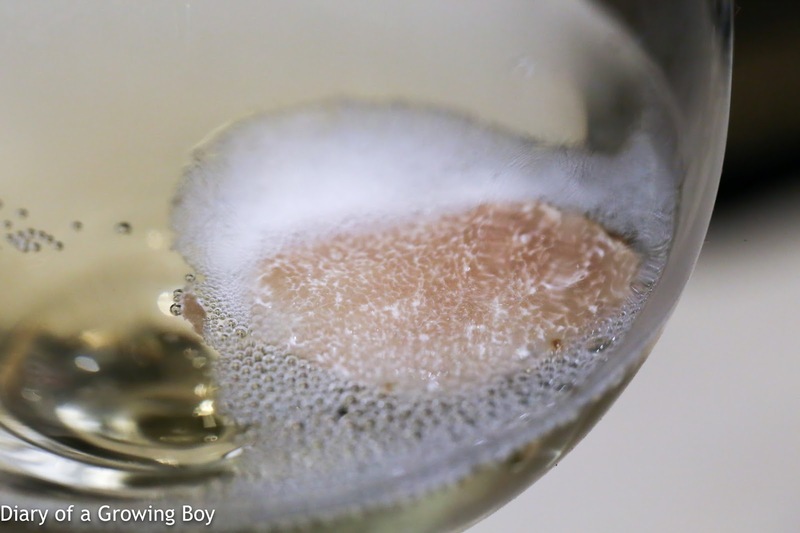 Such a beautiful Champagne. 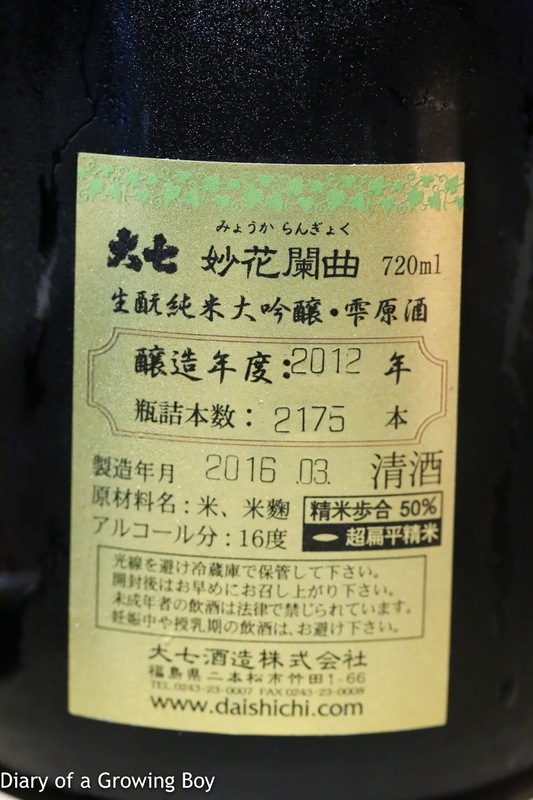 Dewazakura Daiginjo Daikoshu Sansei (出羽桜 大吟醸大古酒 三勢), BY19 - this was a special bottling to commemorate the merger of Mitsukoshi and Isetan, and released in April 2008 for the occasion. 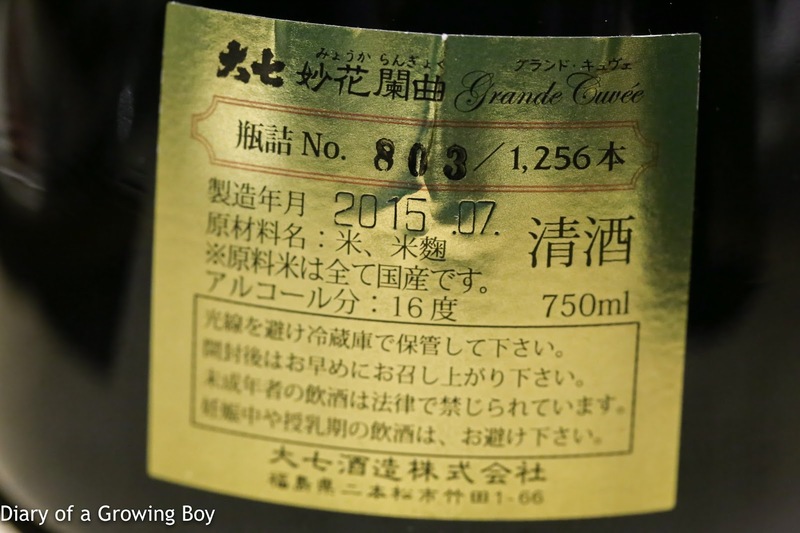 With a seimaibuai (精米歩合) of 35%, this was aged for 13 years at a temperature of -5°C. 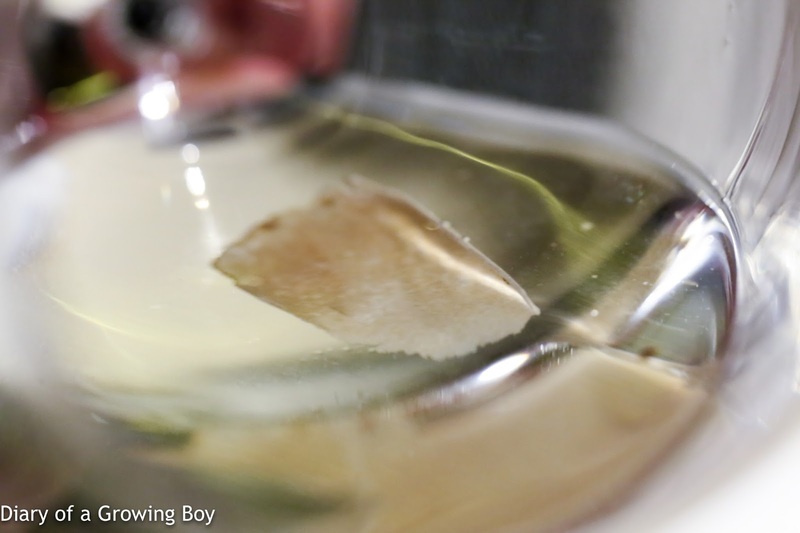 The nose showed lots of fermented rice notes, with a little banana. Very elegant. Sweet on the attack with a medium-dry finish, it was also a little viscous and rounded on the palate. Considering it's been another 6 years since its release, that means the bottle is now about 20 years old. 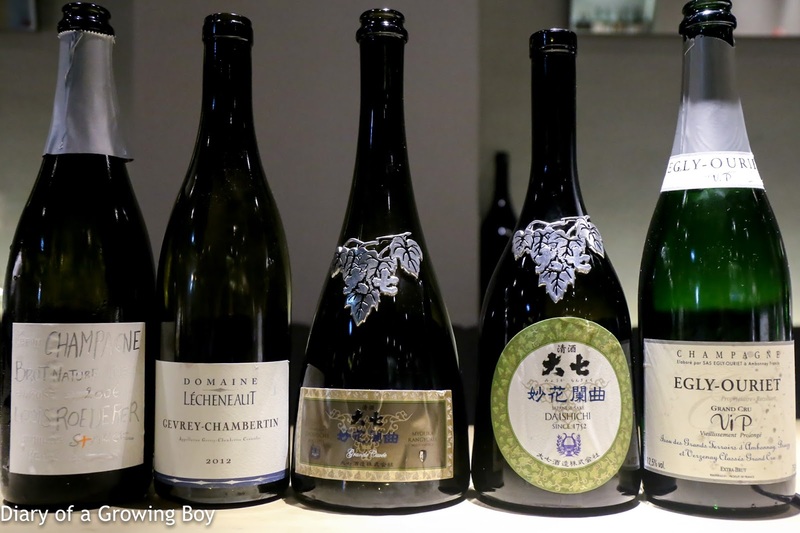 What a beautiful sake! 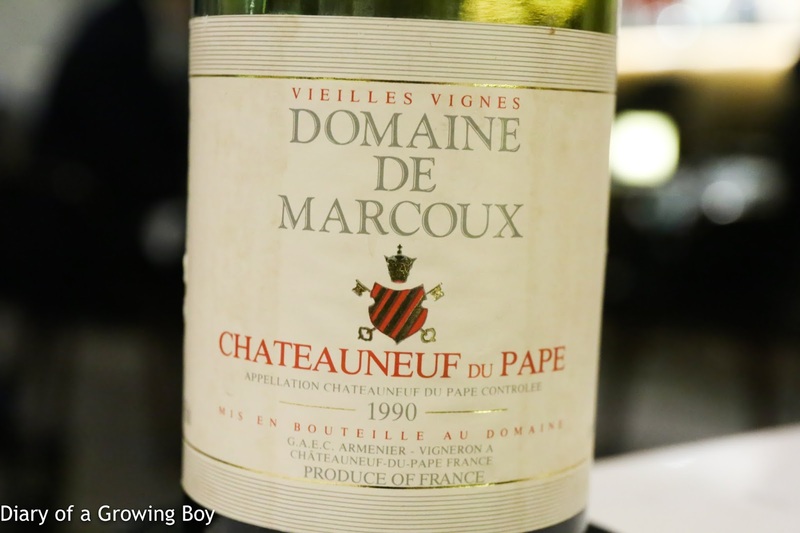 1990 Marcoux Vieilles Vignes - double-decanted 1 hour prior to serving, and finally started to open up. Nice fruit in the nose, with forest notes. Sweetness in the nose showed up after 80 minutes, along with leather and animal notes even later. A lovely wine. 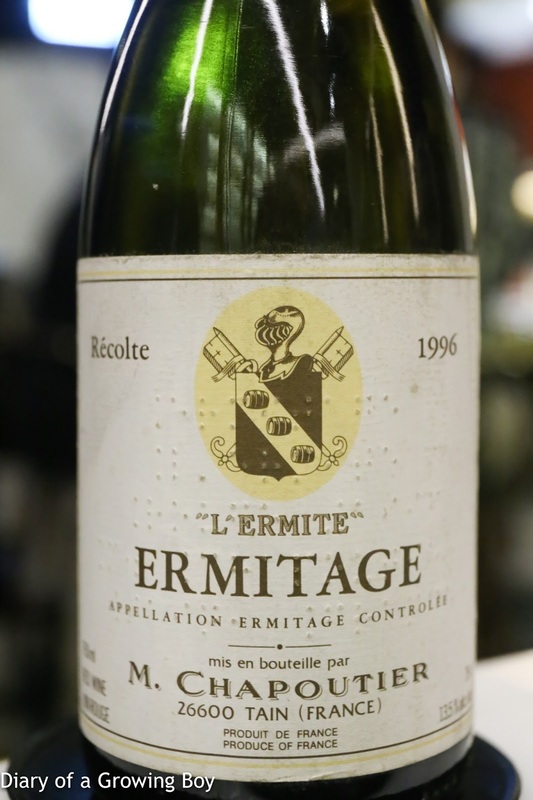 1996 Chapoutier Ermitage L'Ermite Rouge - opened for 30 minutes prior to decanting and serving. Sooooo much coconut butter on the nose, very sweet, exotic, with cedar notes. Good acidity levels. Beautiful! Lunch at Princess D'Ân Nam Resort and Spa. Full post on breakfast and lunch is here. Dinner on the beach at Princess D'Ân Nam Resort and Spa. 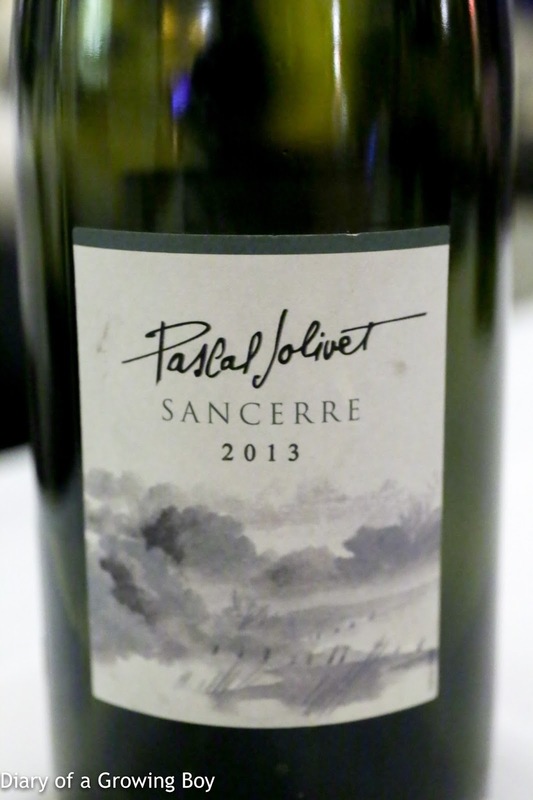 2013 Pascal Jolivet Sancerre - mineral, almost green apple notes. 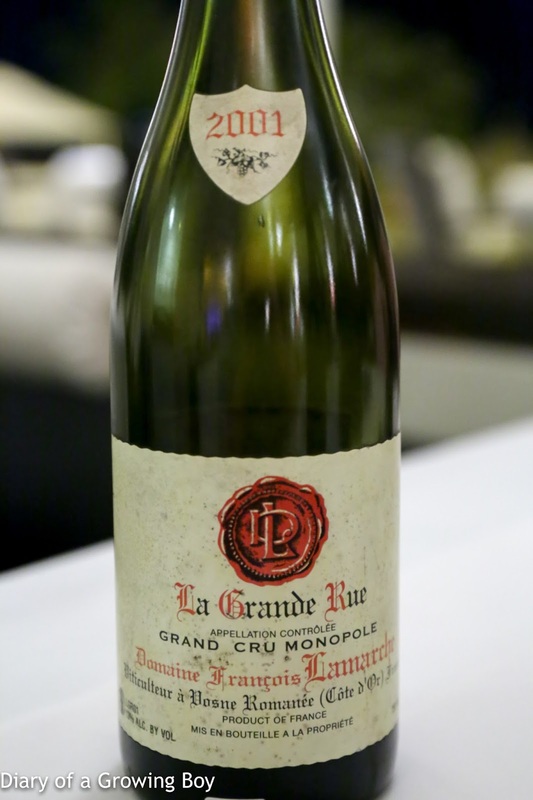 2001 François Lamarche La Grande Rue - decanted and served 70 minutes later. 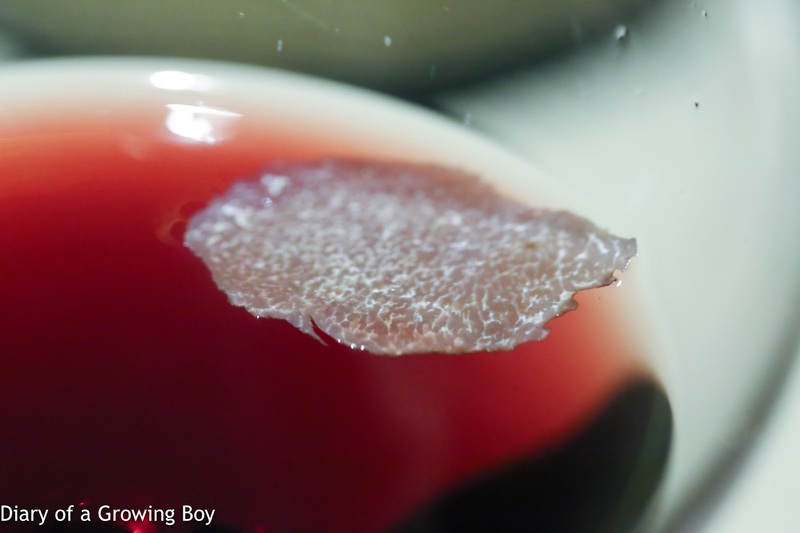 The nose seemed fine while decanting, but clearly this was a wine that did not need much aeration. 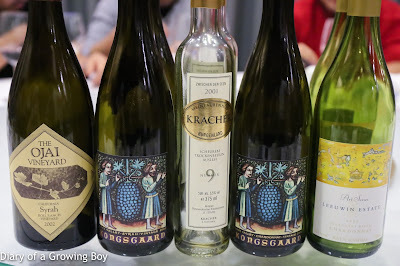 When we drank it the wine had lost its freshness, and had gone a little soft on the palate. 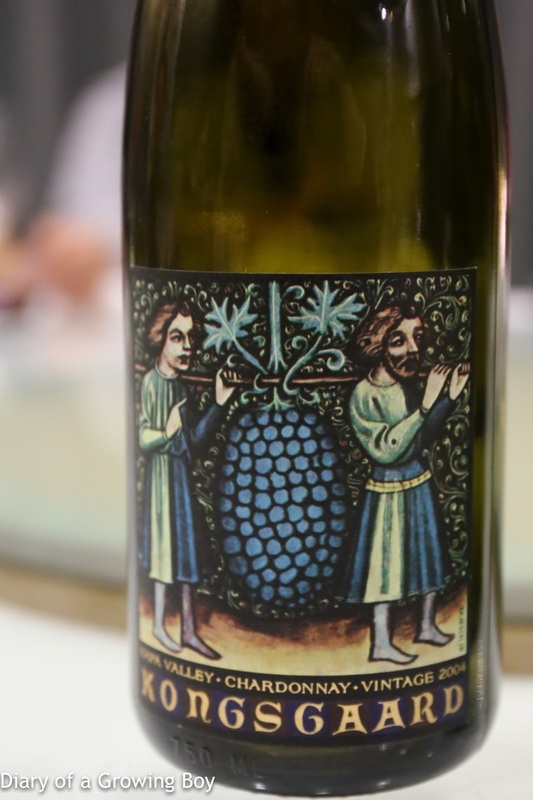 There was some astringent tannins along with the acidity, and showed a little smokiness as well as some stewed fruit. The wine died quickly in glass. A little disappointing, but not too surprised. 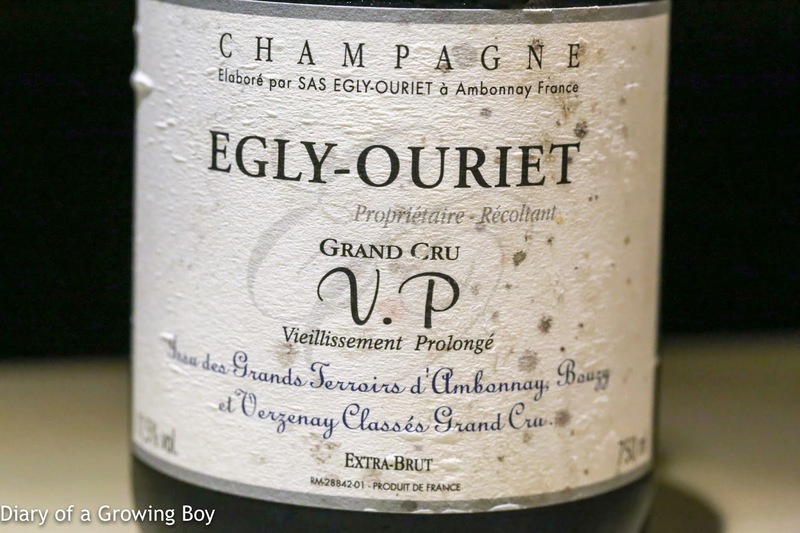 Egly-Ouriet Grand Cru Vieillissement Prolongé, dégorgée en juillet 2008 - a bottle that I carried back from Reims all those years ago. 60 month on lees. Wonderfully caramelized nose, toasty, very ripe and rich, with savory salty plum notes. Nice depth of flavor here. With this as the chaser to beluga caviar, this brought out a little more of the smoky flavors. 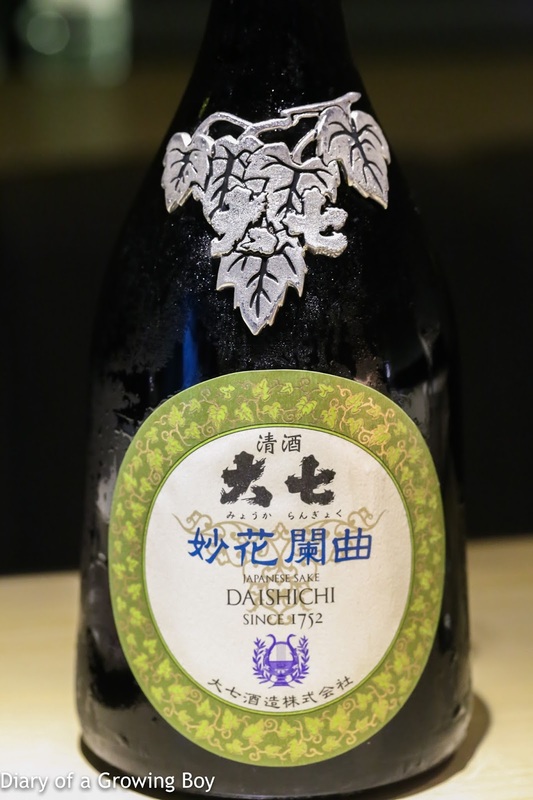 Daishichi Myoukarangyoku Junmai Daiginjo Shizuku Genshu (大七 妙花蘭曲 純米大吟醸 雫原酒), 24BY - brewed in 2012 and released in 2016. 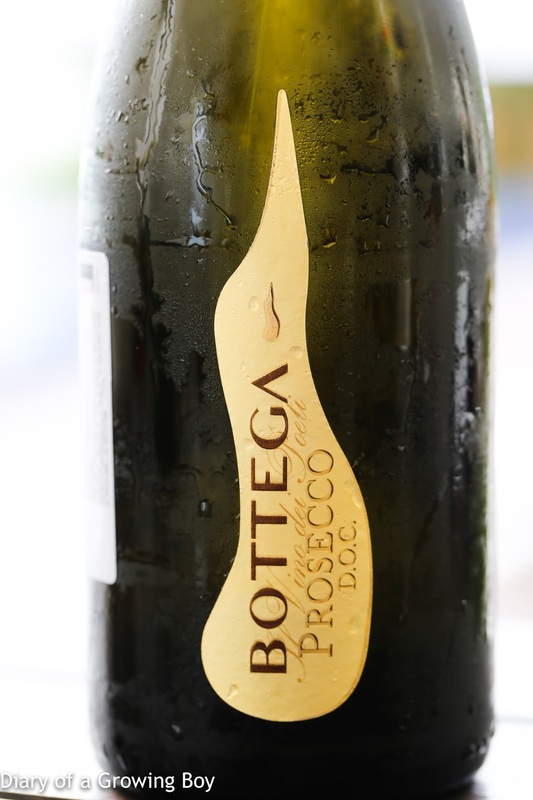 Aerated in bottle for about 40 minutes before serving. Very sweet on the nose, with plenty of banana notes, really fragrant. Reasonably sweet on the palate but a little dry and spicy on the finish. 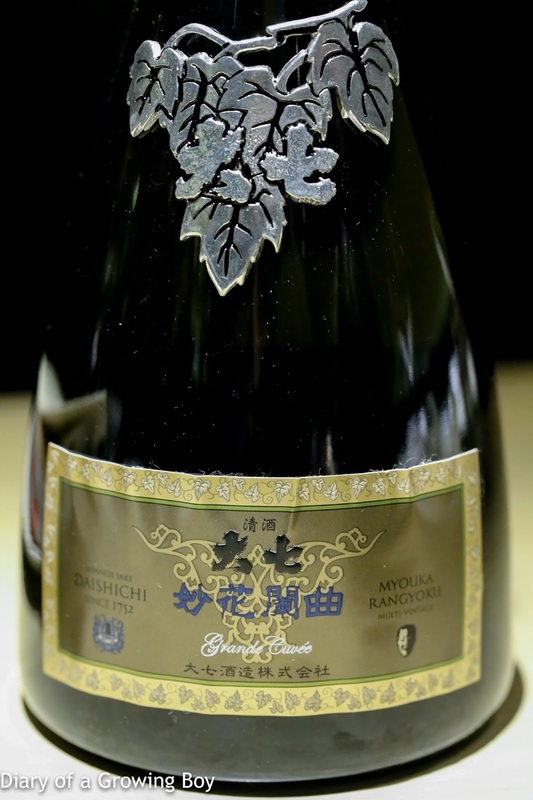 Daishichi Myoukarangyoku Grande Cuvée (大七 妙花蘭曲 グランド キュヴェ), 2013 version, released in July 2015 - this bottling represents the pinnacle of Daishichi's offerings. 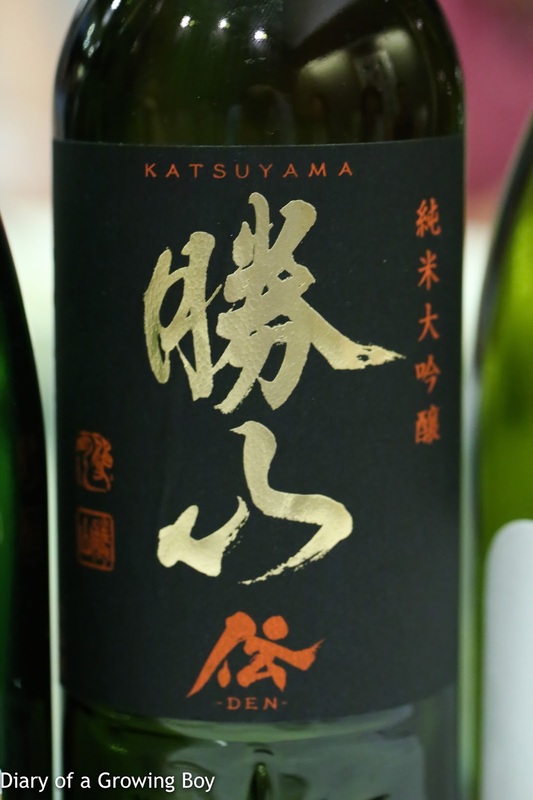 The 2013 version is the third iteration of the Grande Cuvée, and is a blend of 21 vintages of the "regular" Myoukarangyoku brewed between the years of 1988 to 2008. 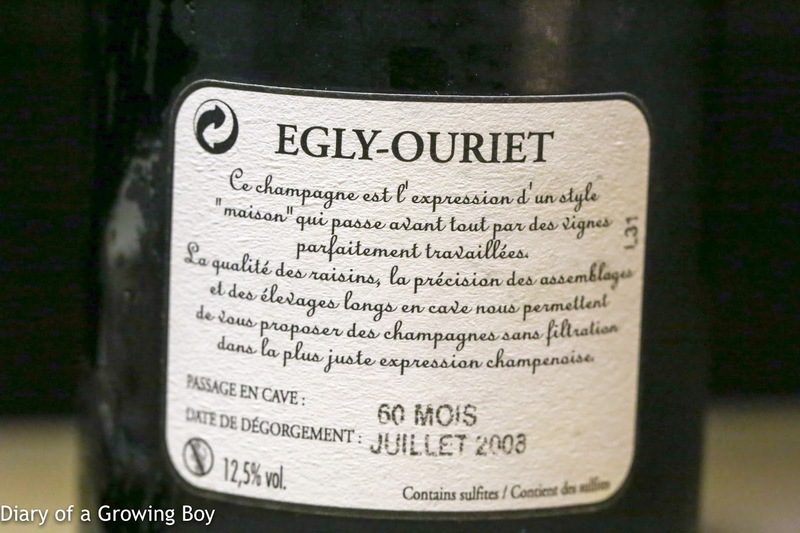 The 1,256 bottles of this version were released over three years - generally on July 7 of each year - and this particular bottle would have come from the last batch. With a single slice of white truffle, the nose turned really, really explosive. The amazing combination of the truffle seemed to have been magnified by the alcohol and sweetness of this sake. Absolutely unbelievable! This was probably the best use of this thin slice of white truffle, EVER. 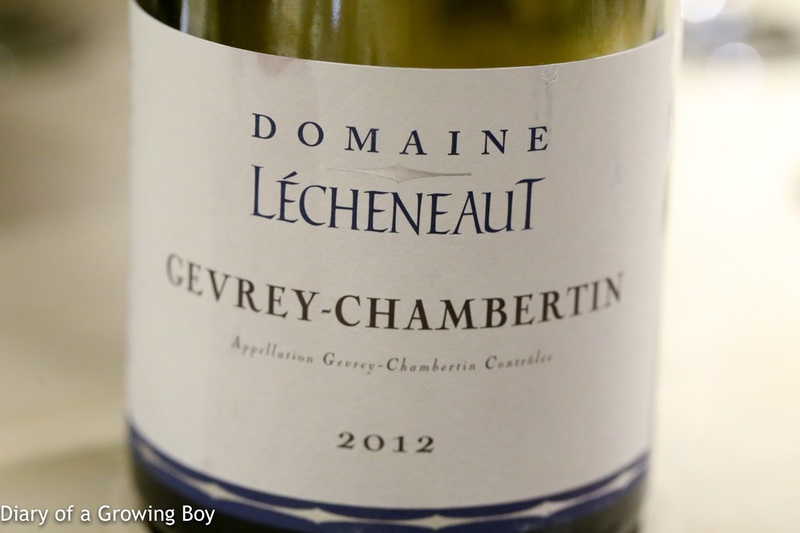 2012 Lécheneaut Gevrey-Chambertin - nice and fruity, with some forest and dried herb notes. Huge nose of toasty corn. 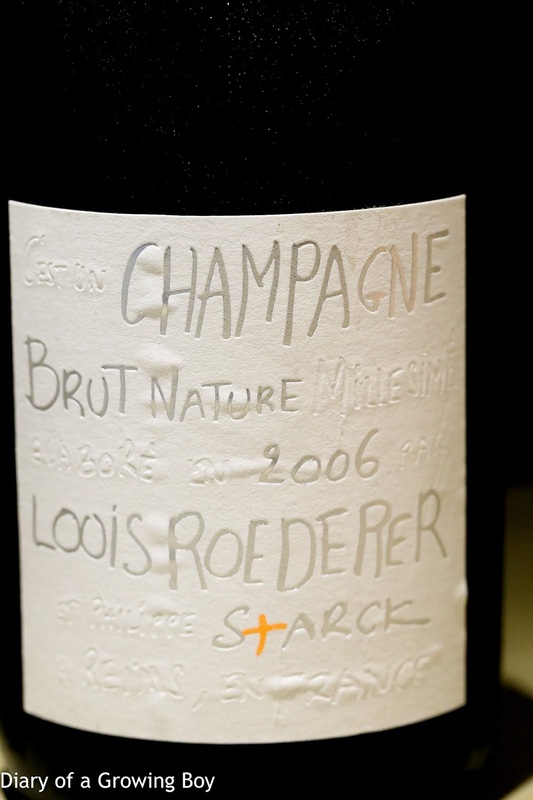 2006 Louis Roederer Brut Nature - nice and toasty nose, with ripe and yeasty notes. This would have been a nice accompaniment to the caviar, too. Lots of reaction when you drop a slice of white truffle in the glass. Pretty nice, too. 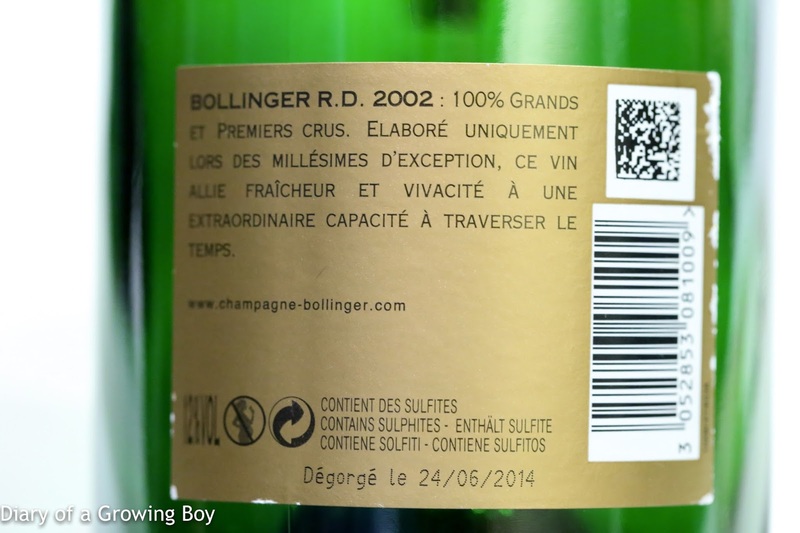 2002 Bollinger R.D., dégorgée le 24 juin 2014 - dry on the palate. After a little while, the nose opened up a little more and showed oxidized and caramelized notes. 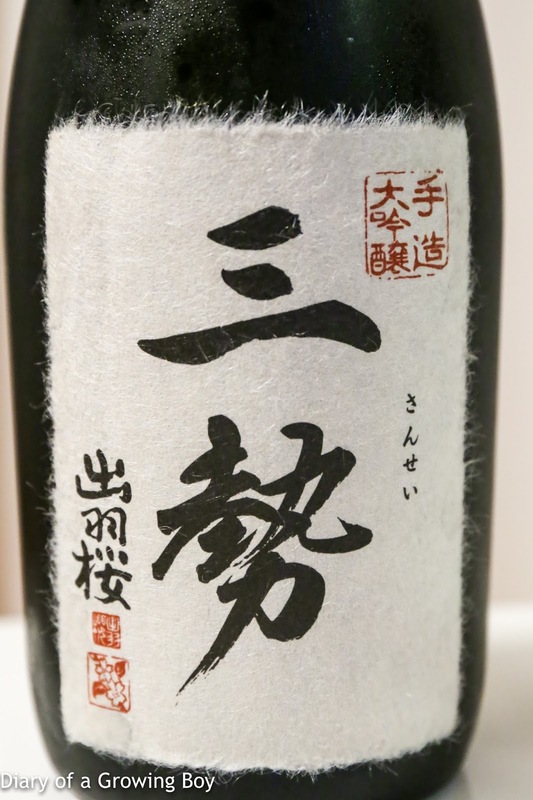 Katsuyama Den (勝山 伝), 28BY - a junmai daiginjo (純米大吟醸) with seimaibuai (精米歩合) of 35%. 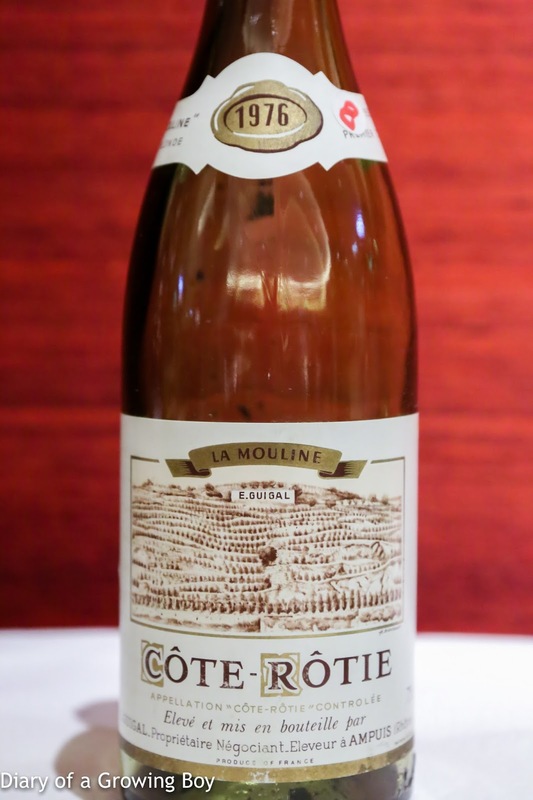 Huge, sweet nose of ripe banana and tropical fruits. Kinda rich and round on the palate. A little sweet but slightly dry on the finish. 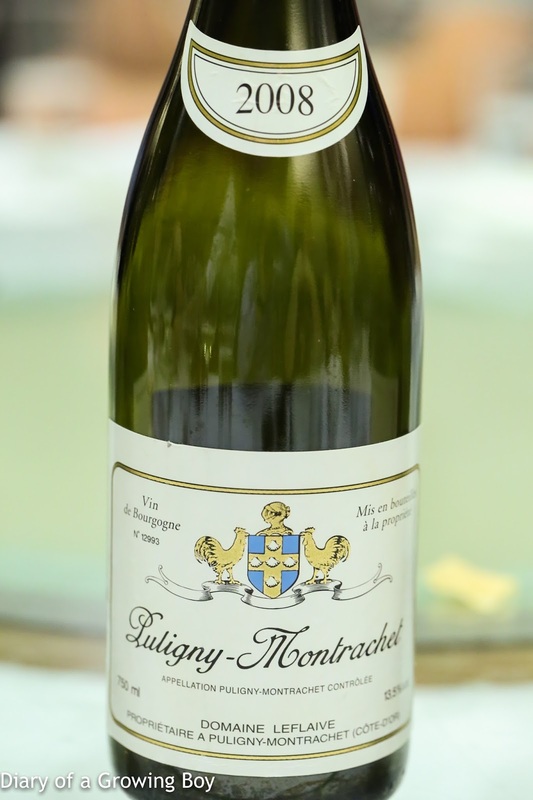 2008 Domaine Leflaive Puligny-Montrachet - so ripe and caramel, with notes of straw. Kinda dry on the finish. 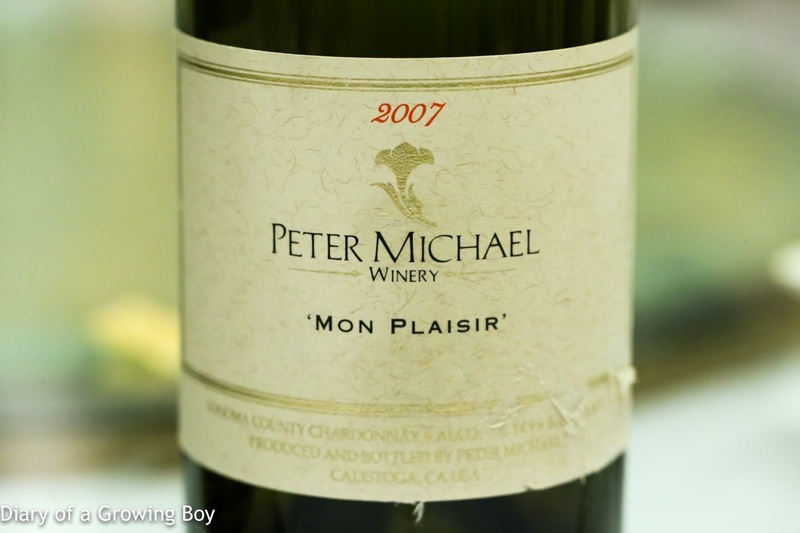 2007 Peter Michael Chardonnay Mon Plaisir - buttery on the nose. Slightly sweet on the attack. Nose became sweeter and more buttery later. 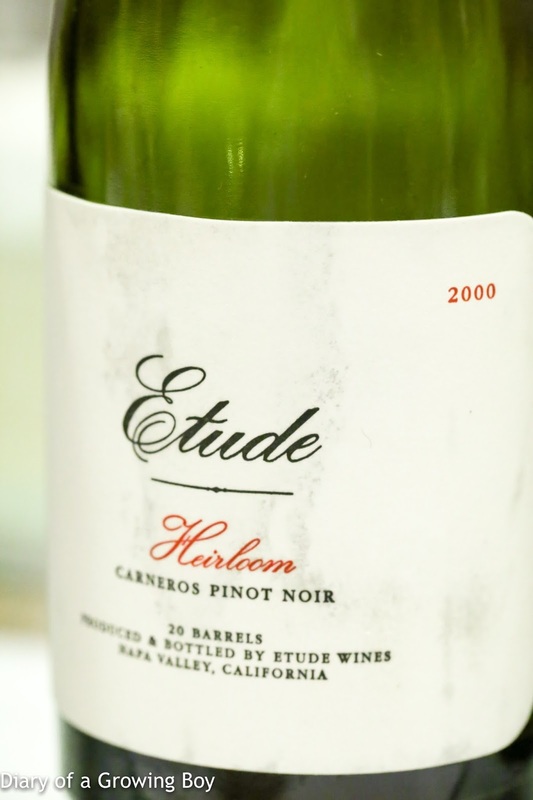 2000 Etude Pinot Noir Heirloom - pretty sweet and fruity, but the palate was a little flat. 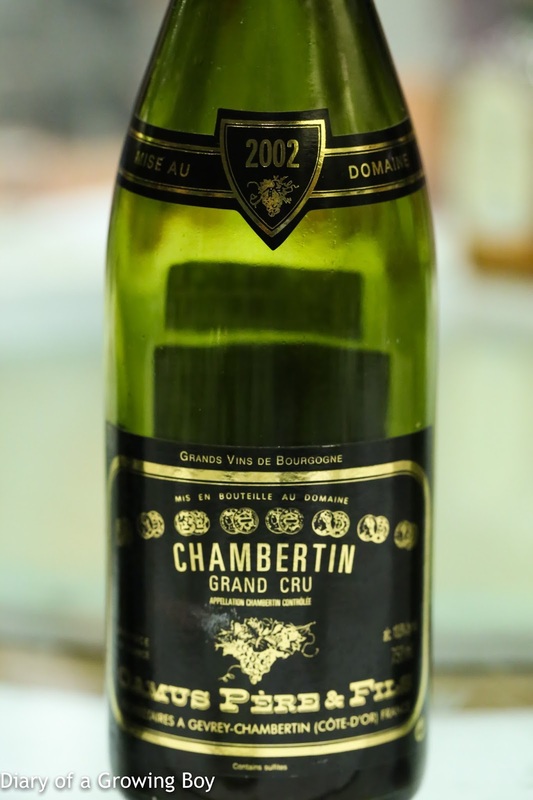 2002 Camus Chambertin - smoky and savory nose, with black olive notes. 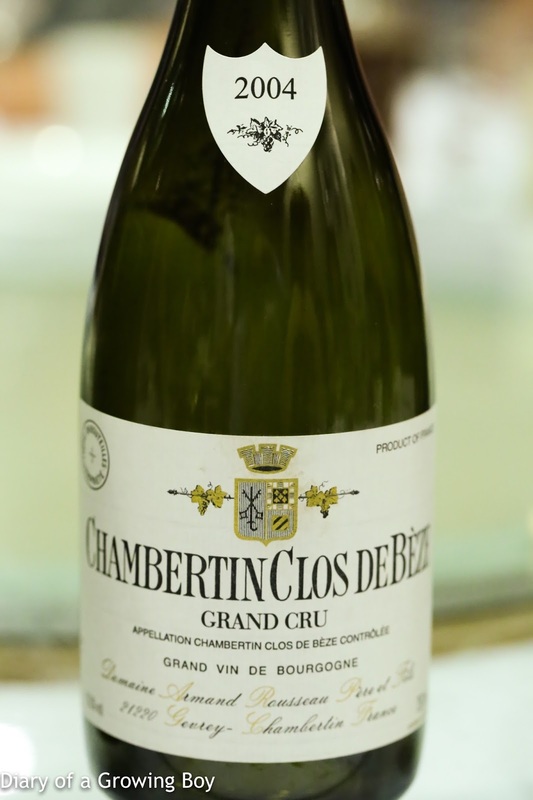 2004 Armand Rousseau Chambertin Clos de Beze - showing beautiful floral and violet notes.